Abbot Point. Photo credit: Tom Jefferson / Greenpeace. The new port, which will be an extension of the existing coal port Abbot Point, will require dredging of three million cubic metres of ocean sediment away from the area and dump it in the Great Barrier Reef National Park, 24 kilometres away. Once the extension is completed, Abbot Point will be the largest coal port in the world, seeing additional 70m tonnes of coal passing through there every year, worth an estimated $1.4bn – $2.8bn. 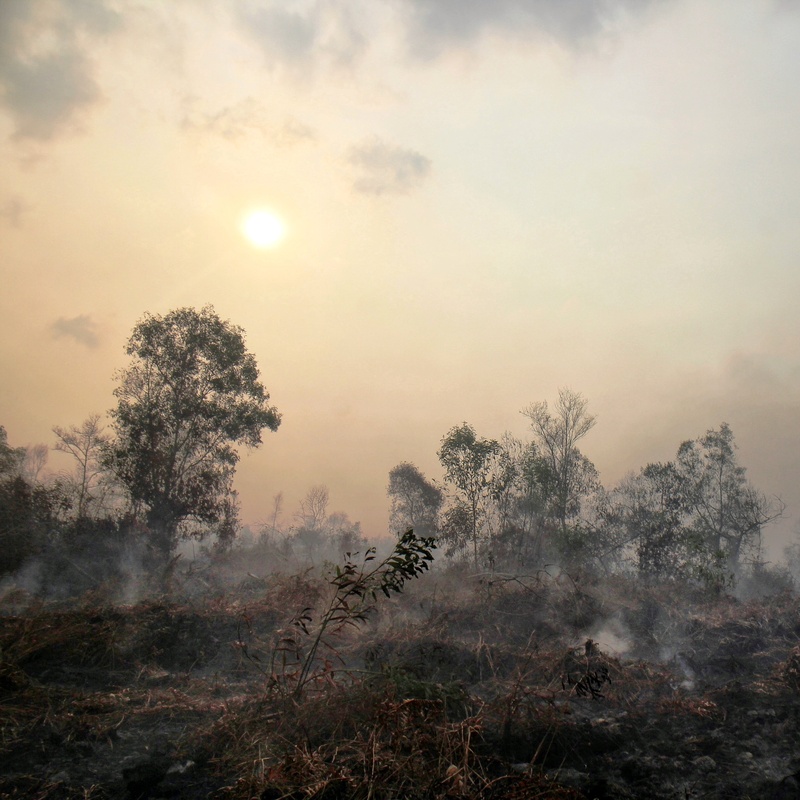 This development comes at a delicate time for Australia, which is currently suffering from record droughts and heatwaves, fuelling record bushfires which scientists says are due to climate change. 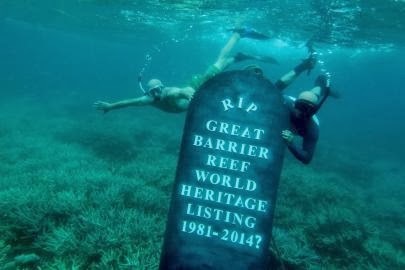 A Greenpeace action puts a gravestone on the sea floor of the Great Barrier Reef. Photo credit: Dean Sewell / Greenpeace. 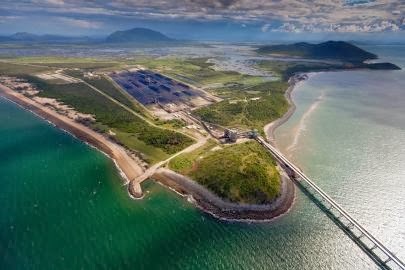 Greenpeace blames heavy lobbying by the coal industry for the approval of the dredging, singling out the Indian mining company Adani, which intends to construct the largest coal mine in Australia just 300 kilometres from Abbot Point. GBRMPA stress that the Abbot Point extension is going ahead under strict conditions and they will closely monitor and inspect the project throughout its lifecycle. They insist that it is the best positioned coal port along the Great Barrier Reef to undertake expansion. General Manager for Biodiversity, Conservation and Sustainable Use, Bruce Elliot, said in a recent statement that the stringent environmental conditions imposed on the dredge disposal would help ‘protect biodiversity, and ensure potential impacts of this activity are avoided, mitigated or offset’. Environmentalists are unlikely to agree and a Greenpeace Australia Pacific petition to protect the reef, has so far attracted 140.000 signatures.